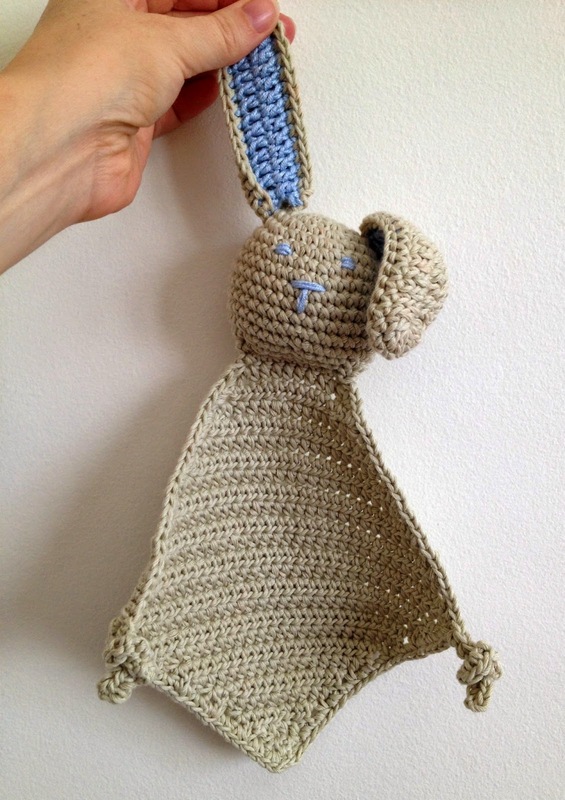 Crochet bunny comforter - this little cutie was made for my gorgeous nephew who is now all of 6 weeks new. I made this with natural undyed cotton and for the ears and face I used a bamboo yarn, so he's lovely and soft and all natural. The only trouble I had with this project was embroidering his eyes and nose! I had to unravel it a few times because I just couldn't get the expression right. I was going for a sweet serene look, but unfortunately my embroidery skills are somewhat lacking and he was looking either very angry or maniacal. After a few attempts I finally managed to get it right. 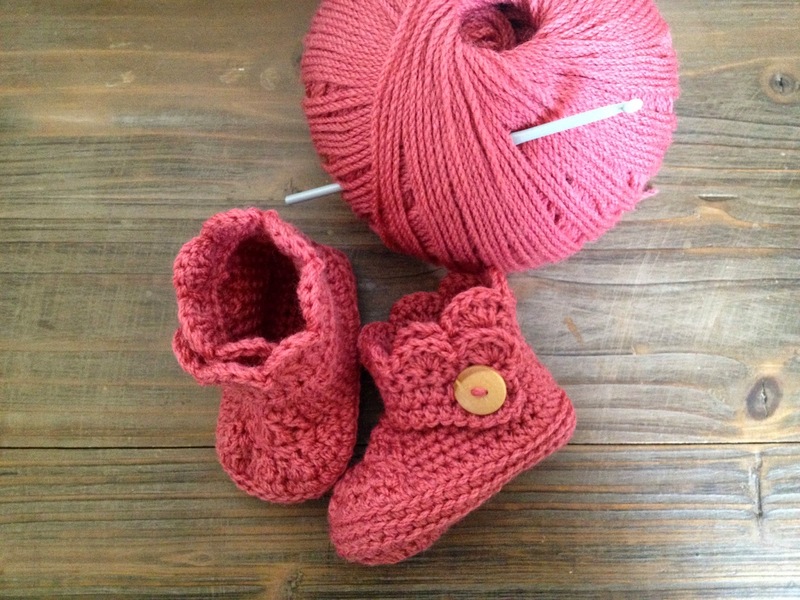 These sweet little wrap around booties were made for the wee one, complete with wooden buttons. 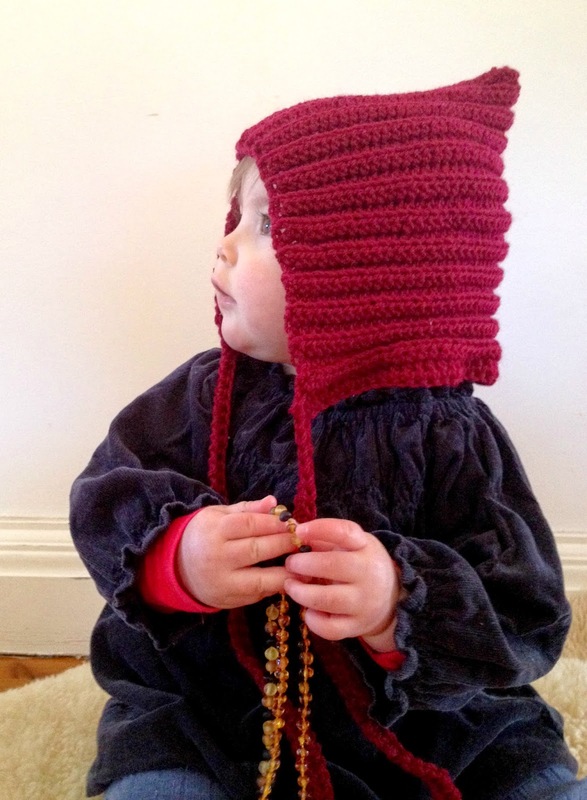 This ribbed pixie bonnet is the latest off my hook. The colour in the picture doesn't quite do it justice - it's actually a deep, rich wine coloured red. Just gorgeous. It's a tad too big for her, but I love it. I've also made some basic slippers for myself and my big girl. I'm not fussed on the colour she chose (think green camouflage) so I won't be posting a picture of them. They have a cute popcorn style stitch on top and just plain double crochet underneath. Super cute and super warm!! I did ask the boys if they'd like a pair but crochet slippers made by your mum apparently aren't the cool thing to be wearing this winter. Huh? Says who? What's next, you ask?? Well I'm linking up with Kate from Foxs Lane and making a granny square hot water bottle cover. 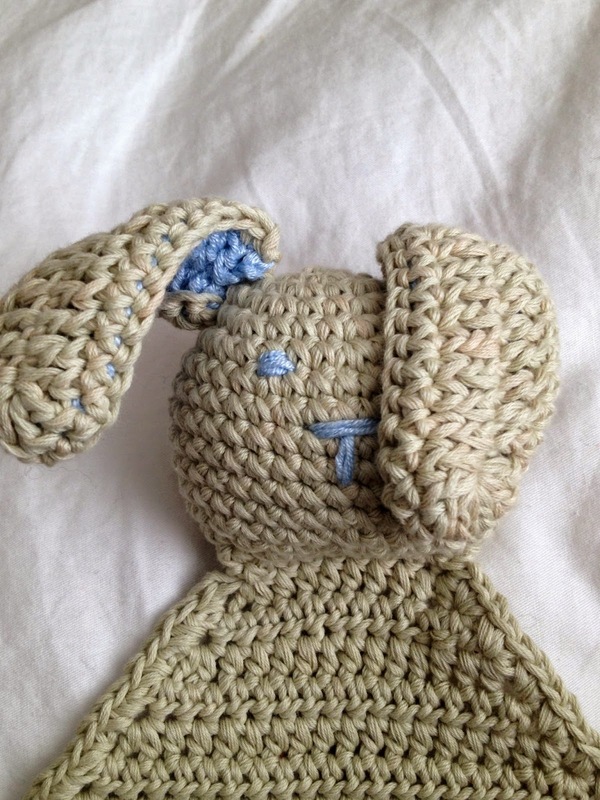 Pop on over to her blog and have a look at a couple that she has finished. They're are lovely. What have you lovelies been hooking lately?? Ps These photos have been taken with my IPhone; partly because my phone is always handy and quick and partly because I'm doing an online photo course (more on that soon) and the first part of the course focuses on taking pictures with your iphone. 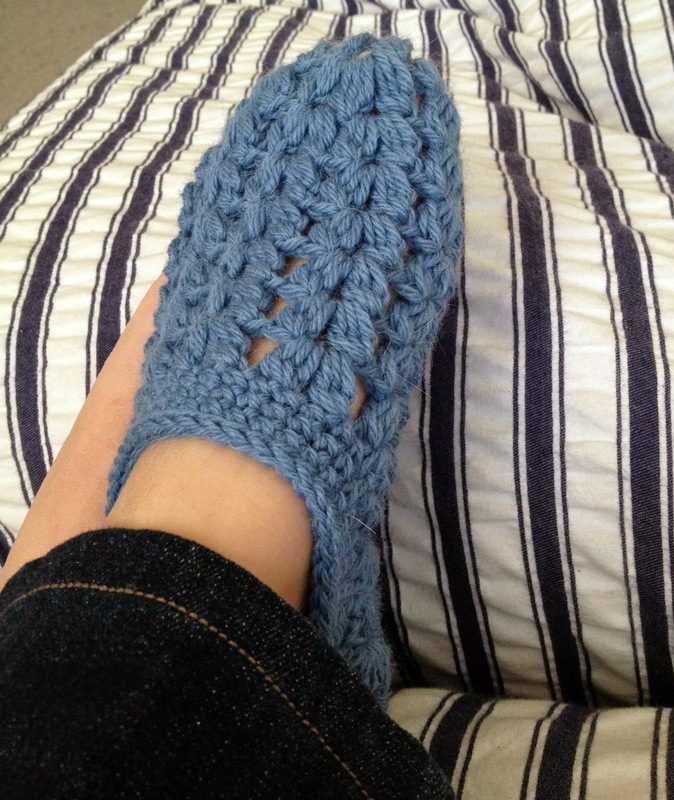 I have no clue how to crochet but I would try just to make those slippers! Hi, many thanks for link to hot water bottle pattern. Love the slippers!!!!! Are they your pattern? There is always something rich and wholesome about your posts, Tina! Thank you so much Naam xo. I really should have taken a picture of the crazy, angry bunny face - it would have been so funny to share on the blog ha ha.